The result of over 20 years of research, the award winning CACI Facial Toning treatment has been voted * the most effective anti-ageing treatment available. Originally invented for medical teams to assist in the treatment of stroke and Bells Palsy sufferers, the CACI Ultra combines CACI Non Surgical Facial Toning with Skin Rejuvenation. The system incorporates four different technologies; Hydratone, Ultrasonic Peeling, Microcurrent and LED Light Therapy stimulation within one state of the art treatment device. 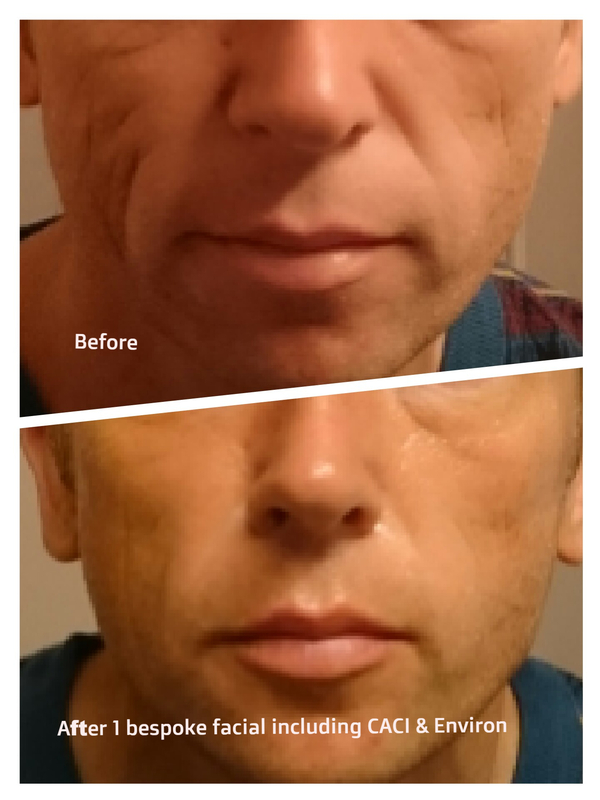 Results are noticeable after just one treatment! The Super CACI treatment enhances your non surgical facelift by working the muscles for longer and more intensely. This creates further lift, tone and firmness to the skin. This treatment is the facelift which also combines active micro-current hydratone rollers with a unique, electrically conductive hydra smoothing gel mask infused with powerful hydrating properties ( collagen, hyaluronic acid, vitamin E and vitamin C.
Hydratone is a new treatment from CACI International, specifically developed for individuals with busy lives that are short on time and in need of a treatment that can deliver effective results within the quickest possible time frame. One of America's favourite beauty treatments. Micro-currents are applied to the muscles surrounding the bust area causing the skin & tissue to lift and become firmer. This treatment combines a special skin peeling handset which removes dead skin cells to reveal a softer more youthful complexion, and light therapy treatment 9 blue light is calming and antibacterial, while red increases the production of collagen causing a plumping effect on the skin). Combined, they are effective at reducing the apperance of scar tissue, pigmentation, stretch marks and acne. By combining the skin revolution treatment and the wrinkle comb, fine lines & wrinkles are effectively plumped out thus providing an alternative to collagen and dermal fillers. The non-invasive, needle free alternative to collagen injections and dermal fillers! A combination of microdermabrasion, LED light therapy and CACI Amino-lift peptide are applied to soften and smooth the appearance of lines and wrinkles. 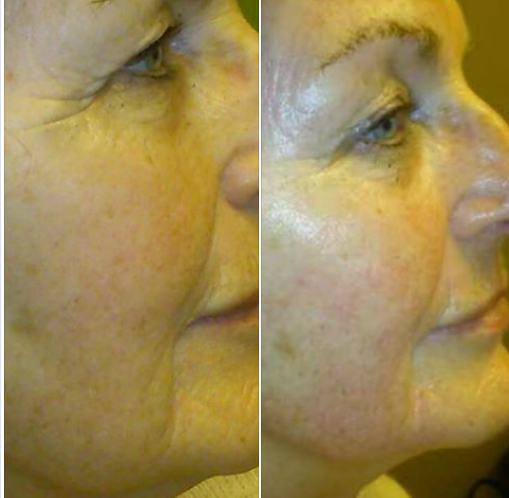 Visible results after just one treatment. 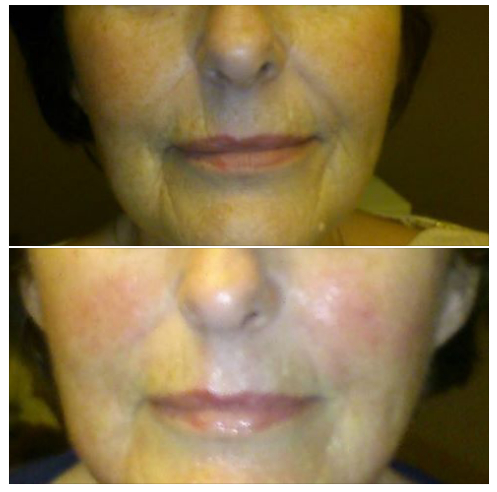 Instantly noticeable results after just one treatment. Great as a one off to look fab in that little dress or as a course for permanent results. Discounts available for courses. Plump up and get kissable lips.Microcurrents and light therapy are used to plump the lip area and diminish fine lines and wrinkles. Diminish those lines and wrinkles around the mouth with the use of a gentle skin rejuvenation of the area, micro currents, light therapy to increase collagen production and the amazing wrinkle comb to combat those stubborn lines. Firm & tone the jawline with the new Quad probes which deliver double the lifting effect. improved jawline definition, treats double chin and blurs fine lines and wrinkles improving the appearance of sagging jowls. 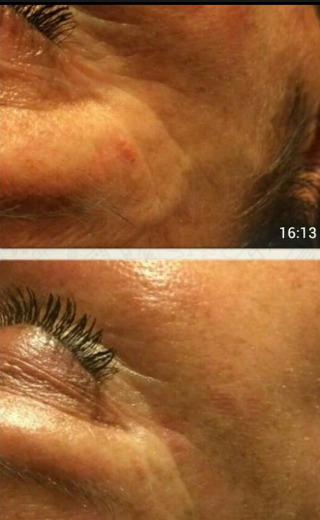 The new CACI Eye Revive treatment uses microcurrent to gently tighten and tone sagging muscles around the eye area, whilst reducing the appearance of fine lines and wrinkles. Serum filled eye rollers are used to infuse the CACI Eye Revive serum deep into the skin to reduce puffiness and dark circles. The deeply nourishing Hydro Eye Mask is then applied to soothe the skin and reduce fine lines and wrinkles. This treatment has been developed to target severe acne concerns where exfoliation is not advised. The soothing treatment uses a blue & red light therapy ( renowned for their anti-bacterial and anti-inflammatory healing properties ) combined with the Hydro Mask to soothe & calm, as well as reduce redness and irritation. Please call us for more information and assistance. We are happy to help. Discounts available for all courses of treatments . Please call us for details. This is great for congested skin. Think of it as a facial for the back. Dead skin and congestion is removed through steaming and applying a mild peeling solution . 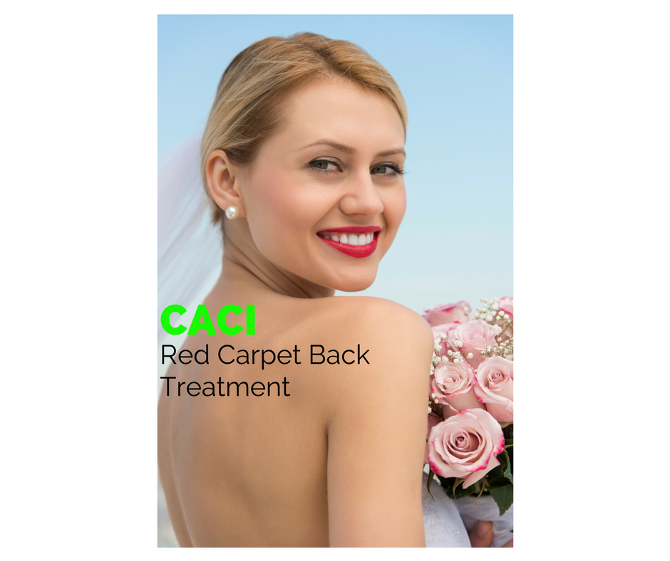 Then the CACI actuator is used with sound waves to gently remove the build up of dead skin and lift out any congestion. A healing solution is also applied to speed up recovery of spots then light therapy is used for its healing and antibacterial qualities thus revealing a brighter complexion.